Died: 16th July 1917; age: 50; Killed in loss of vessel south of Nikaria Island, Aegean Sea. Employed as Engineer for 32 years with the Great Eastern Railway steamboats (served his apprenticeship at Stratford Works). William joined the company on the 8th March 1882. Volunteered in the R.N.R. on the outbreak of war. First with mine-sweeping in the North Sea. Later transferred to the Dardanelles, where he assisted in the landing of troops. William became (temporary) Engineer Sub Lieutenant on the 17th December 1914. Rank: Engineer Sub Lieutenant/Chief Engineer. Regiment: Royal Naval Reserves, Continental Marine Staff, H.M.S. ‘Newmarket’. Relatives Notified & Address: Husband of Maud Mary Chittock, of 64, Warwick Road, Ipswich. 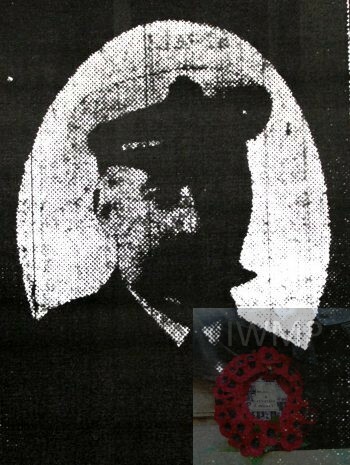 William Joseph Chittock, 30, a Station Master – Clerk, born Market Weston, Suffolk. Charlotte Chittock (nee Hubbard), 36, born East Dereham, Norfolk. Florence May Chittock, 2, Huntingdon, Huntingdonshire. 1881 ‘Spread Eagle’ London Street, Swaffham, Norfolk. William was 14 years old, a Brewer’s Clerk. He was living with his mother & siblings at the home of his widowed maternal grandmother. Charlotte Hubbard, 72, an Inn Keeper, born Reepham, Norfolk. Charlotte, 45, a Railway Clerk’s wife. Harry Gordon Chittock, 16, a Solicitor’s General Clerk, born Harwich, Essex. Charlotte Maud Chittock, 9, born Cambridgeshire. In 1881, William’s father, William, 40, a Clerk – G.E.R. was a lodger at the home of 37 year old, Charles William Kitchener, a Warehouseman. 1891 51, Mornley Green, West Ham, Essex. William was 24 years old, a Loco Steam – Fitter. He was living with his parents & sister. William, 50, a Railway Clerk. 1901 8, Martin Road, Ipswich. William was 34 years old, a Chief Engineer. He was married and Head of the Household. Maud’s daughter Maud Cavill, 13, born Harwich, Essex..
Maud’s daughter Gladys Cavill, 12, born Harwich, Essex. 1911 58, Warwick Road, Ipswich. William was 44 years old, a Chief Engineer – Marine. He was married and Head of the Household. Gladys, 22, a Shorthand Typist. William, 16, an Apprentice Engineer – Agricultural. Harry, 15, an Apprentice Engineer – Agricultural. William’s father, William Joseph Chittock, died 1899, West Ham, Essex. His mother, Charlotte Chittock, died 1912, Southampton, Hampshire. In 1894, Tendring, Essex, William married, Maud Mary Richmond (1st marriage Caville), born 1868, Dovercourt, Essex. William Richmond Chittock, born 1894, Harwich, Essex. Harry Gordon Chittock, born 1895, Harwich, Essex. Ethel May Chittock, born 1897, Dovercourt, Essex. Percy Albert Chittock, born 1900, Dovercourt, Essex. Vera Sylvia Chittock, born 1902, Ipswich. Richard Joseph Chittock, born December 1906, Ipswich. Elsie Mary Cavill, born 1886, Harwich, Essex. Maud Mary Cavill, born 1887, Harwich. Gladys Cavill, born 1889, Harwich, Essex. Probate to Maud Mary Chittock – widow. William is also remembered on the Liverpool Street Great Eastern Railway Company war memorial, London. On the 17th July 1917, H.M.S. ‘Newmarket’ was torpedoed and sunk by the German submarine UC-38 (Alfred Klatt), South of Nikaria Island, Aegean Sea. 70 persons were lost, 3 survivors taken as prisoners of war.